Sharon Vander Meer is a poet, writer and author of the new novel Thunder Prime Hunter’s Light. Sharon writes contemporary fiction and futuristic novels featuring strong female protagonists. 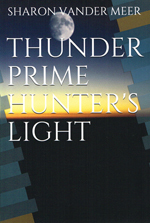 Thunder Prime Hunter’s Light is the sequel to The Ballad of Bawdy McClure, published in 2009. Her other works include novels Blind Curve, Finding Family, and Future Imperfect; a book of inspirational readings (Not Just Another Day); and two poetry chapbooks—25 Days of Christmas: An Advent Journey and Lines: Poetry in Notion. A journalist and freelance writer for more than 30 years, Sharon is an indie author of five novels, a book of daily inspiration, and two chapbooks of poetry. She blogs regularly on a variety of topics at www.vandermeerbooks.com. In her career, Sharon published a weekly newspaper, produced and hosted two radio programs (one featuring authors, the second about professors, staff and programs at a state university in Northern New Mexico), developed an alumni magazine, and served as managing editor and general manager of a more than 125-year-old New Mexico newspaper. She has been published in New Mexico Magazine and other regional news and promotional magazines. Sharon works out of her home in beautiful Northern New Mexico. She is a Mom, Grandmother and Great-grandmother. She spends her time writing and reading, serving as a Deacon in her church, and enjoying life with her husband of 39 years. 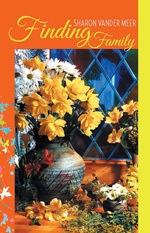 For more information about the author contact sharon@vandermeerbooks.com, or visit her website at www.vandermeerbooks.com. 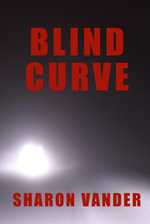 I love sci-fi and I love contemporary fiction and I love mystery/adventure and I love poetry. As a writer, I’m told I should stick with one thing or the other, but if a story or poem pops into my head, it will end up getting written. Not everything gets published, but the work of creation is my heartbeat. A writer is what I am; writing is what I do. My dream is that readers will enjoy the results of my labor of love. Character and plot development are like 1000-piece puzzles: you start with the edges and work toward the heart. You don’t get the full impact of the image until the last piece is in. Therein lies the secret of storytelling. My latest novel—Thunder Prime, Hunter’s Light—is now published. The last piece of the puzzle is in place. The book is available as an e-book or as a paperback. I blog regularly at www.vandermeerbooks.com and welcome readers/followers. The topics vary and include essays, articles, Q&A interviews, poetry, or just about anything else I find interesting. When I’m not blogging, I’m working on a novel or a poem. I’m experimenting with serialization of existing unpublished work, and creating Tiny Tomes, collections of short stories, poems or inspirational readings. As is true of just about everything in my life, it’s a work in progress. I would like to network with authors in my area (Las Vegas, NM) who are Southwest Writers members. My contact information is available through this page or by going to my website. I’m happiest when I’m writing and I’m writing all the time. Sci-fi action and futuristic politics combine in this story of a young woman who is on a quest to find her mother, taken off planet by a Chandorian known as a ruthless trader in slaves. Pella Soames will allow nothing to stand in the way of her search, not a downed transport, attempts to abduct her, and well-meaning friends who want to stop her mad and dangerous search for a woman who may not even be alive. Fate, unexpected help and Pella’s wily sense of self-preservation keep her out of the hands of abductors…mostly. What happens to a widow whose quiet life is interrupted when her estranged niece, Annie, arrives on her doorstep with three children and a dog of questionable breeding in tow? From the moment they blow into her life on a windy fall night and Krank the dog pees on her carpet, Lilly Irish begins a life-changing journey. Always one to do the right thing for the right reasons, Lilly takes the family in, knowing her resources are limited. Between the dog tearing up one thing after another, and the older boy tangling with schoolyard toughs, Lilly is put to the test. Annie and her children are looking for a home. Will they find it with Lilly? Think of how you feel about getting up in the morning to splashes of glorious color in the sky, or how you feel about your faith, your partner sleeping beside you, or the quirks of life that make you smile… or cry. 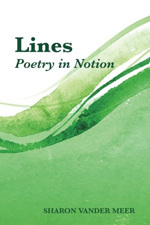 That is the essence of Lines, Poetry in Notion. Poetry is for everyone. Yes, even you. It tells a story from beginning to end, in many verses or in one. It speaks to the heart and stirs the mind to contemplation or tears, or anger, or love, or any one of a dozen other reactions that invite you to explore something about yourself.